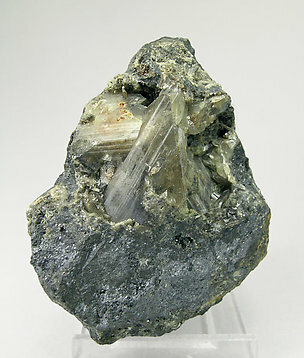 A group of very sharp elongated Anglesite crystals, between translucent and transparent, very bright and with plenty of dark Galena inclusions. Irregular aggregate of translucent and bright prismatic crystals with very well defined faces and edges, a slightly pink color and on matrix. 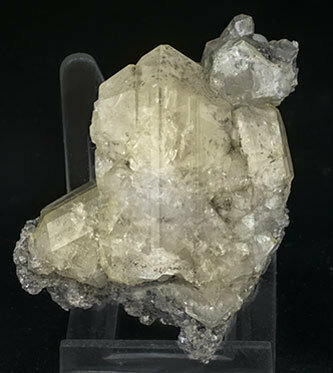 We note that Anglesite, in well developed crystals, is a quite rare species at this locality. The sample is from the Natural History Museum in London, which obtained it from the H.S. Gordon collection from which it passed to the Earl L. Calvert collection. We’ll send the original label from the Mineral Department, British Museum, to the buyer. 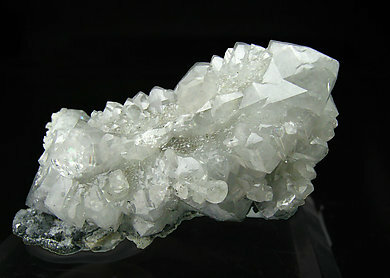 A group of very well-defined crystals which have an uncommon habit. 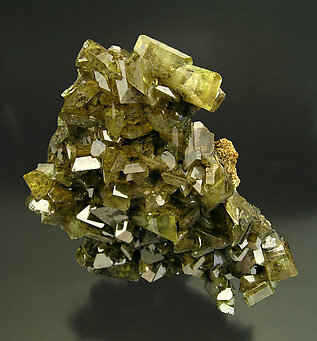 They have a magnificent luster, deep yellow color and abundant inclusions of Galena. Unusual and especially nice. 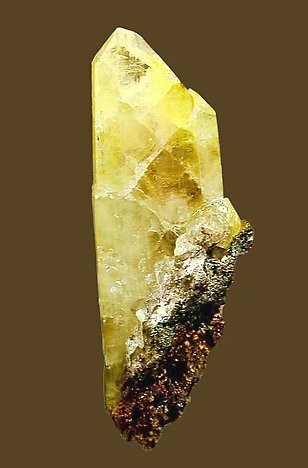 A very sharp crystal that has an extraordinarily intense and uniform yellow color. 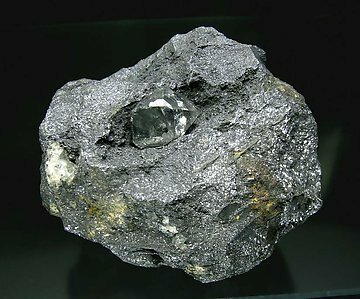 It is very bright and transparent and has inclusions of Galena. Another magnificent classic of Touissit's golden age. The locality is really a classic. 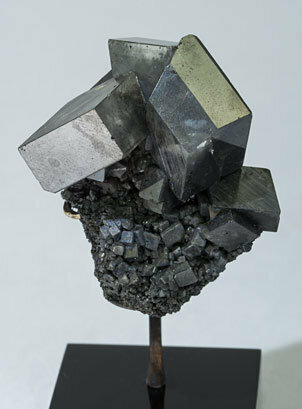 Crystals, occupying a cavity in a Galena matrix, have sharp faces and edges and the main one has a considerable size. 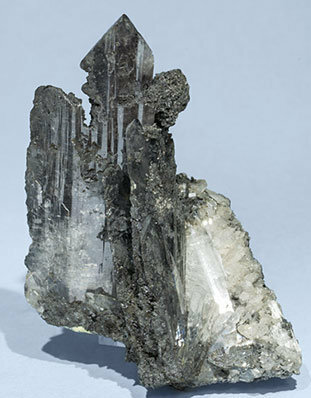 Sharp transparent crystals on a matrix of Galena that partially fills some of the Anglesite. Very bright and with an especially intense yellow color. A Moroccan classic, increasingly scarce. Pair of short blocky crystals, one of them clearly dominant and partially doubly terminated, with very well defined dipyramidal terminations. 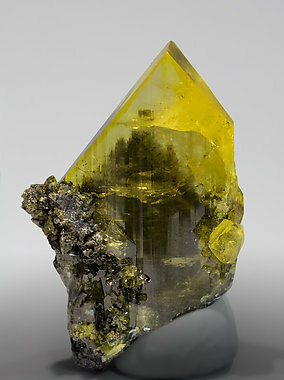 The crystals, between transparent and translucent, have an intense lemon-yellow color, are very bright and they are on a Galena matrix. 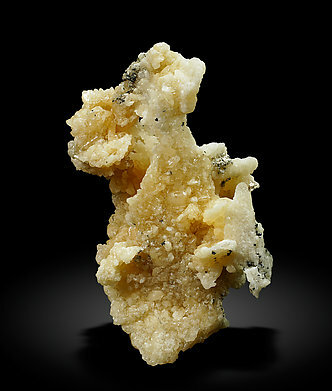 Aggregate of crystals, one of them clearly dominant and partially doubly terminated. 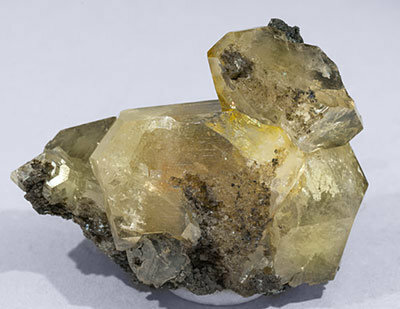 The crystals, with very well defined parallel growths, have very sharp terminal faces, a pale yellow color, are translucent and very bright and are on a granular Galena matrix. An excellent Moroccan classic due to the perfection and definition of the crystals. Typical crystal from Monteponi. Prismatic, clear, transparent, bright and on Galena matrix. 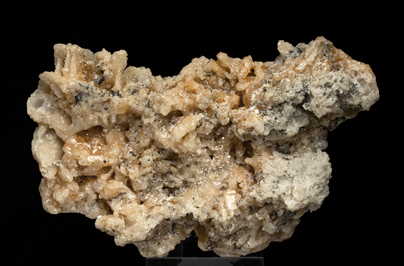 Monteponi is one of the classic localities for Anglesite and Phosgenite. Sr. Folch bought the specimen in 1914 to the Comptoir Minéralogique et Géologique Suisse of Geneva. 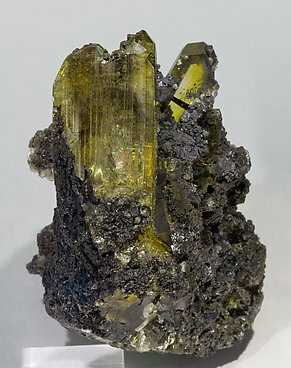 Group of short prismatic crystals, rich in faces, between transparent and translucent, with a lemon yellow color and on Galena matrix. The sample is from a very classic locality for the species. 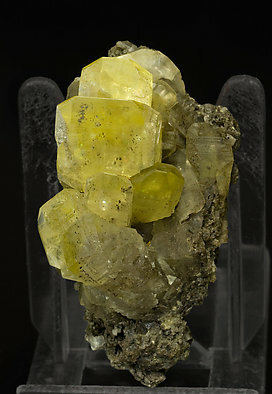 Only very rarely is it possible to obtain old samples of this quality, and still more infrequently with a yellow color. It’s from a well known European collection whose label we’ll send to the buyer. Parallel growths of crystals with very well defined faces and edges, a bluish-gray color, and implanted on a small matrix. We note the quality of the crystals due to the locality, in which the Anglesite is well known but, at the same time, scarce. Aggregate of extremely sharp Anglesite crystals, translucent, very bright, and very rich with dark-gray Galena inclusions and on a matrix of granular Galena.The sample, finely mounted, is with a label of the Jacques Dayssiols collection that we will send to the buyer.